This paper presents the implementation of an analytical formulation to calculate the lightning electromagnetic pulse (LEMP) assuming a current wave-shape linearly rising with flat top and a transmission Line (TL) return-stroke model. It also describes the development of the expressions for the image dipoles required to calculate the vertical electric field, the azimuthal magnetic field and, specially, the horizontal electric field. The expressions to calculate the contribution of source dipoles were detailed in a previous publication by other authors. The complete formulation is used to calculate electromagnetic fields and lightning-induced voltages on a typical overhead distribution line. The results were compared with traditional formulas to calculate the LEMP (such as Rubinstein’s) and to calculate induced voltages (such as Rusck’s) showing errors below 1%. If a more complex wave shape was used (such as Heidler’s), errors below 5% were found. Additionally, the formula was employed to calculate the flashover rate of a distribution line above a ground with infinite and finite conductivity. Errors less than 5% were found compared to the results obtained in the IEEE 1410 Standard. On the other hand, the computation time required to the assessment of an overhead line indirect lightning performance is reduced by half when the analytical formula is used. IEEE Power & Energy Society, IEEE Guide for Improving the Lightning Performance of Electric Power Overhead Distribution Lines. New York, New York, USA: IEEE, 2011. A. Borghetti, C. A. Nucci, and M. Paolone, “An Improved Procedure for the Assessment of Overhead Line Indirect Lightning Performance and Its Comparison with the IEEE Std. 1410 Method,” IEEE Trans. Power Deliv., vol. 22, no. 1, pp. 684–692, Jan. 2006. C. A. Nucci, F. Rachidi, M. V. Ianoz, and C. Mazzetti, “Lightning-induced voltages on overhead lines,” IEEE Trans. Electromagn. Compat., vol. 35, no. 1, pp. 75–86, 1993. 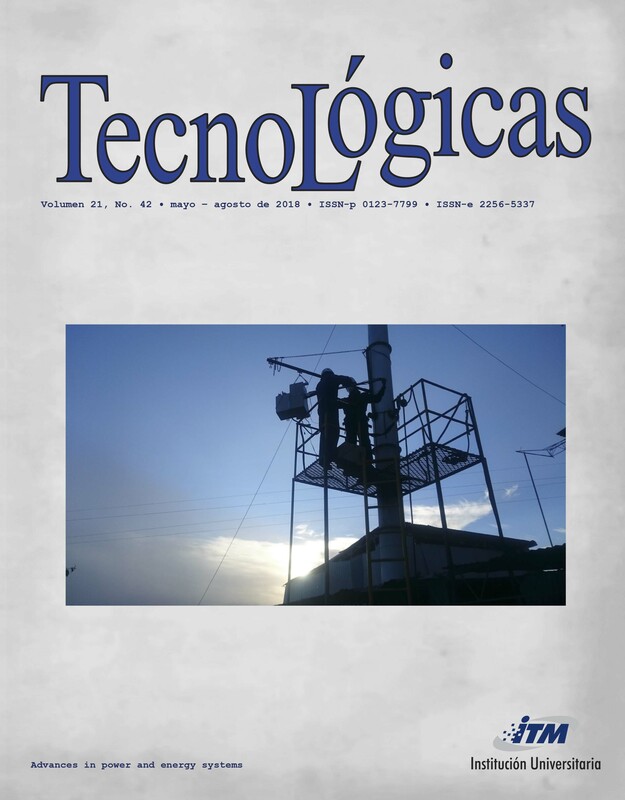 E. Pérez and H. Torres, “Advances On Modeling And Experimentation Of Lightning Induced Voltages On Distribution Lines,” Universidad Nacional de Colombia, Bogota, 2006. M. Paolone et al., “Lightning Electromagnetic Field Coupling to Overhead Lines: Theory, Numerical Simulations, and Experimental Validation,” IEEE Trans. Electromagn. Compat., vol. 51, no. 3, pp. 532–547, Aug. 2009. R. Thottappillil, J. Schoene, and M. A. Uman, “Return stroke transmission line model for stroke speed near and equal that of light,” Geophys. Res. Lett., vol. 28, no. 18, pp. 3593–3596, Sep. 2001. M. Rubinstein and M. A. Uman, “Methods for calculating the electromagnetic fields from a known source distribution: application to lightning,” IEEE Trans. Electromagn. Compat., vol. 31, no. 2, pp. 183–189, May 1989. Cé. F. Barbosa and J. O. S. Paulino, “An Approximate Time-Domain Formula for the Calculation of the Horizontal Electric Field from Lightning,” IEEE Trans. Electromagn. Compat., vol. 49, no. 3, pp. 593–601, Aug. 2007. F. Napolitano, “An Analytical Formulation of the Electromagnetic Field Generated by Lightning Return Strokes,” IEEE Trans. Electromagn. Compat., vol. 53, no. 1, pp. 108–113, Feb. 2011. M. A. Uman, D. K. McLain, and E. P. Krider, “The electromagnetic radiation from a finite antenna,” Am. J. Phys., vol. 43, no. 1, pp. 33–38, Jan. 1975. M. Rubinstein and M. A. Uman, “Transient electric and magnetic fields associated with establishing a finite electrostatic dipole, revisited,” IEEE Trans. Electromagn. Compat., vol. 33, no. 4, pp. 312–320, 1991. E. Pérez and E. Soto, “Yaluk Draw: Software especializado para análisis del desempeño de líneas de distribución ante impacto de rayos. Avances en Ingeniería Eléctrica,” Av. en Ing. Eléctrica, vol. 4, no. 1, pp. 1–8, 2013. C. A. Nucci, A. Borghetti, M. Paolone, P. Boselli, M. Bernardi, and S. Malgarotti, “Lightning-Induced Voltages on Overhead Distribution Lines: Theoretical and Experimental Investigation of Related Problems and their Impact on Power Quality,” in Cigré 2004 Session, 2004, pp. 1–10. S. Rusck, Induced Lightning Over-voltages on Power Transmission Lines with Special Reference to the Overvoltage Protection of Low-voltage Networks, vol. 120. Lindståhl, 1958. Cigre Sc33 Wg01, “Guide to procedures for estimating the lightning performance of transmission lines,” CIGRE Rep. 63, vol. 01,no. October, pp. 1–64, 1991. IEEE Working Group, “Calculating the lightning performance of distribution lines,” IEEE Trans. Power Deliv., vol. 5, no. 3, pp. 1408–1417, 1990. Working Group on Estimation Lightning Performance of Transmission Lines, “A Simplified Method for Estimating Lightning Performance of Transmission Lines,” IEEE Power Eng. Rev., no. 4, pp. 48–48, Apr. 1985.